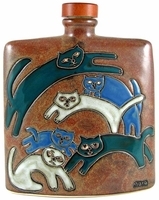 This category of cats is for the pet lover. 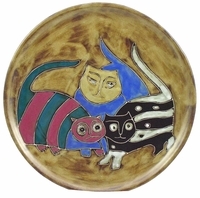 Mara's depiction of cats ranges from artistic to whimsical. 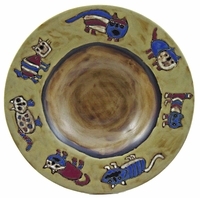 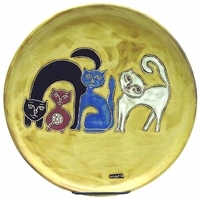 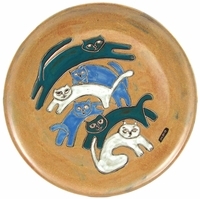 Her cat designs appear on her stoneware mugs, pet dishes, pasta plates, decanters, platters and stoneware tiles.